Emily Jerry Foundation Interview Featured on AOL Homepage in the UK! I’m very pleased to say, that the video segment from the interview I did on Huff Post Live this past November, was used on the AOL homepage in the UK towards the end of March! It’s very exciting to be getting this type of exposure for the foundation. Little by little, day by day, more people are getting the opportunity to hear Emily’s story. This can only be a good thing, as the more lives she touches, the more she will save. I truly pray each pharmacy technician and hospital worker who hears it will be motivated to utilize new systems in their hospital that will minimize the human error component of medicine. Meanwhile, our mission continues! As we had previously reported, the Emily Jerry Foundation was proud to attend the annual Health Information Management Systems Society event held in Orlando, Florida this past February. There were so many great attendees, special guests, and speakers there, the event was truly inspiring. We made incredible connections while networking with some of the most cutting edge minds in the world regarding Healthcare technology systems. It was an event that re-energized the foundation, and really sparked us to give even more effort than we already had been. While attending this event, the Emily Jerry Foundation was honored with the Education Award in the Intelligent Hospital Pavilion, sponsored by the RFID in Healthcare Consortium. This award is given to a worthy organization that is dedicated to improving healthcare delivery through better education. We feel truly blessed to be recognized in such an esteemed manner by our peers. We continue to press on toward the goal of minimizing preventable patient deaths in our hospital systems across the US. Below are scans of the program to the event where we were presented with the award along with the actual certificate, an article that featured the Emily Jerry Foundation, as well as some other promotional materials from the evening. Again we’d like to say Thank You to our partners for giving us this incredible honor! 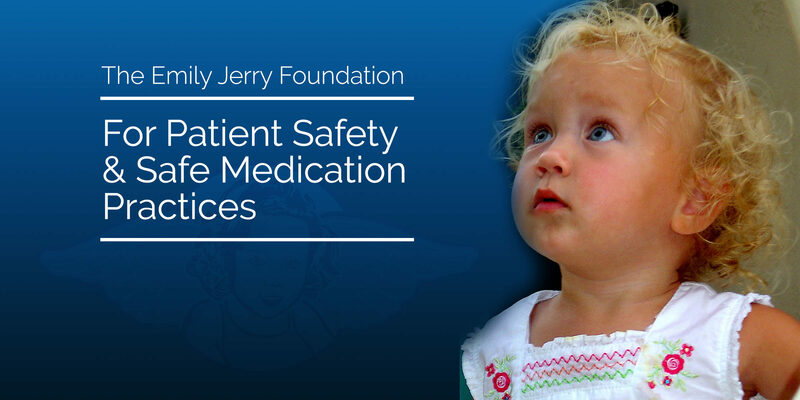 We fully intend on continuing to push the patient safety movement forward as much as humanly possible!